From 2013 to 2016 Ocean Science Trust convened the West Coast Ocean Acidification and Hypoxia Science Panel, comprised of 20 leading experts. The Panel developed a body of products that serve as a scientific call to action; synthesizing the state of knowledge and identifying science-based options to address OAH at the regional and local levels. In 2012, California Ocean Science Trust and the California Ocean Protection Council (OPC) recognized the need to harness the growing political attention on OA towards a fuller appreciation of its drivers and impacts. Inspired by the groundbreaking work of the Washington Blue Ribbon Panel on Ocean Acidification, the OPC asked Ocean Science Trust to establish a scientific advisory panel on ocean acidification and hypoxia (OAH) in collaboration with Oregon, Washington, and British Columbia. 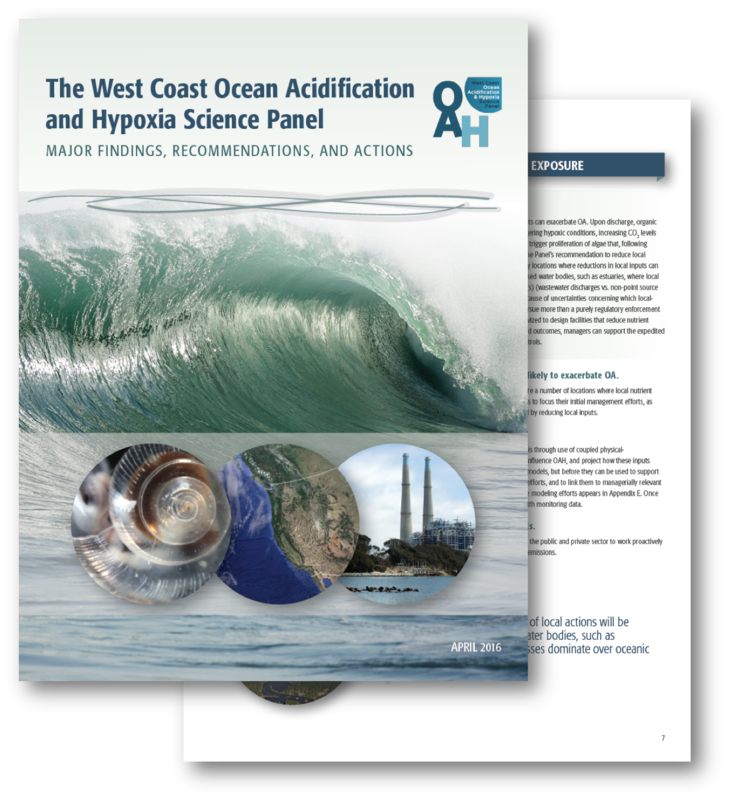 "Major Findings, Recommendations and Actions"
This Executive Summary report summarizes the West Coast Ocean Acidification and Hypoxia Science Panel’s work and presents actions that can be taken now to address OAH. Download "Major Findings, Recommendations, and Actions"
In addition to the Executive Summary, the Panel produced as suite of supporting documents on a range of topic areas. Two-page synopses that provide more detail on many of the key concepts mentioned in "Major Findings, Recommendations and Actions." More detailed technical documents intended to help program managers translate the recommendations and actions into initiatives and policy. In-depth scientific documents for subject-matter experts that summarize the state of the science on which the Panel has developed its recommendations. Acidification endangers not only the health of marine organisms but also the numerous economic and societal benefits of coastal waters on the West Coast. A confluence of factors makes the West Coast vulnerable to acidification; a regional, coordinated science is needed to mitigate impacts. Managing for resilience represents an important strategy for “buying time” to slow the onset and reduce the scope of harmful changes. The cost of inaction on ocean acidification and hypoxia, in the form of reduced management options and wider ecological changes, will rise over time. Models allow managers to make better-informed decisions about implementing controls on local pollution, and to engage in resource management planning. Two approaches to reduce the impacts of rising atmospheric CO2 concentrations on seawater carbonate chemistry. The Clean Water Act's existing water quality criteria for pH are not scientifically valid for application to ocean acidification (OA). Recommendations for expanding the breadth of research to meet the demands for management-relevant information on the West Coast and beyond. Recommendations for establishing a sustained, strategic and adaptive monitoring network that is founded on existing efforts and their expansion. 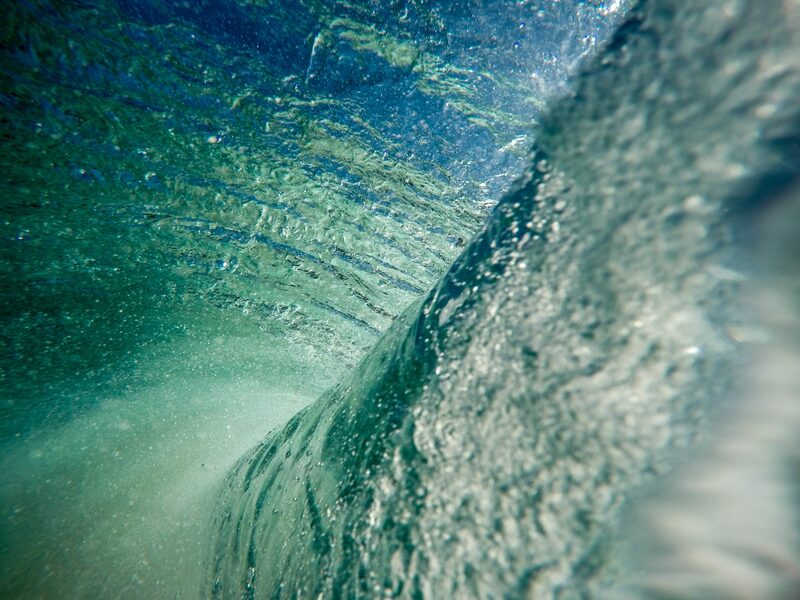 A strategic framework for ocean acidification and hypoxia monitoring intended to provide rigorous decision-support to policymakers and managers at a West Coast-wide regional scale. Research initiatives focused on providing the knowledge needed to effectively manage the West Coast and oceans in the face of multiple stressors. Specific modeling needs for coupled oceanic physical, biogeochemical, and ecosystem models, and steps that will help build on existing infrastructure to meet management needs. The need for considering acidification in the context of multiple stressors to marine ecosystems. The Panel examines how single- and multiple-stressor effects on physiology may drive changes in individual or species behavior, and the structure of marine ecosystems. Practical guidance about the opportunities to incorporate ocean acidification and hypoxia management strategies into existing ecosystem-based management frameworks. This document describes the state of the science for making an impairment assessment in the context of this Clean Water Act process, and in cases where data needed to perform assessments are limited.